Rose Tremain is one of those rare writers who can write literary fiction and yet be a bestseller. In The Gustav Sonata she achieves it with an undemanding first section, which blossoms into something more complex as the novel progresses. Part One, (which corresponds to the exposition in sonata form) is set in a minor town in postwar Switzerland where we meet Gustav, a sober, rather prim little boy who lives with an unloving mother Emilie in reduced circumstances. She is bitter about his dead father Erich, who held a senior position in the police department until it was discovered that he had been falsifying documents to allow Jewish refugees to stay in the country. Switzerland was neutral during the war, but under the very real threat of invasion by Germany they conceded to some demands including refusing entry to Jews. The authorities regard Erich’s compassionate actions as betrayal because they put the security of Switzerland at risk. He is sacked, he can only get menial work, and the family has to move to a cramped apartment far from the comfort they previously enjoyed. Gustav does not know how his father died, but he does know that his mother doesn’t love him, or, indeed, anyone. From her he learns that what matters is to have mastery over the self, a characteristic of the Swiss people and one which enables them to survive in a complex world. 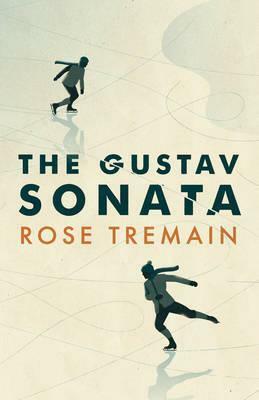 Gustav demonstrates this mastery again and again in this section of the novel about his grim childhood, a childhood enlivened only by his friendship with Anton, a child prodigy at the piano, and blessed with two loving parents and a comfortable luxurious home. The only thing Anton lacks is the temperament that he needs to succeed: he panics if required to perform in front of an audience. He does not have mastery over the self. In Part Two, (which corresponds to the development in sonata form), the reader learns Emilie’s back story. A chance encounter with the handsome Erich and her impulsive boldness with him leads to an imprudent marriage. They are ill-suited, and Erich is frustrated by her ignorance about the complex politics of the war just beyond their borders. When they separate, the cause of Emilie’s ignorance and selfishness is revealed: she goes home to her miserly mother to live in abject poverty and hopelessness. This is not chocolate box Switzerland, not at all. But for Erich, stuck in a mean apartment and a miserable job, life blossoms. He has an affair with the love of his life and discovers joy. The reader, knowing the existence of little Gustav, wonders briefly how the author will resolve this development without turning the story into a sad romance, but the moral dilemmas are more than domestic. In recent days, Erich Perle’s heart has started to beat faster. He can’t seem to control it. He’s aware of it all the time – the thump of blood in his ears, an agitated ticking in his wrist – and he knows it’s because he’s afraid. He finds himself seeking out the familiar and the ordinary, to soothe this frantic heart. The gentle sound of traffic passing down Fribourgstrasse is reassuring, and he tells himself that nothing has changed in Matzlingen if the cars and scooters are going by at their usual, obedient pace. All that has changed is within himself. He is no longer the man he thought he was, the kind of man who reveres the laws of his country – his beloved Switzerland, whose moral code is unimpeachably high – and who would never break them. He’s now a criminal. He keeps telling himself that it all happened because of Liebermann, because of Erich’s compassion for a man who only longed to join his little family, who – if he had been sent back into Austria – would have faced death. Wouldn’t other men – even other policemen – have been moved to falsify documents, to break the law, to save a man who had done nothing wrong? Surely Erich’s crime is rendered neutral by the saving of souls? Isn’t it? Part Three (which corresponds to the recapitulation in sonata form, resolving the theme) brings us to the near present. Gustav and Anton are middle-aged. Neither is married although Anton has had a number of shabby affairs. He is still passionately in love with music, but has had to compromise his ambitions because of his anxieties about performance and has made a life teaching piano instead. Gustav, on the other hand, with a bit of luck, thrift and good management, has become the owner-manager of a small hotel, the Hotel Perle, named after the father he never knew. Erich, like Switzerland itself, was struggling to retain the neutrality of the law and mastery of the self, at a time when events beyond its borders were conspiring to overwhelm it. And half a century later Gustav, like Switzerland itself confronted by banking scandals resurfacing from the war years, has to come to terms with the moral issues embedded in its history. Gustav’s friendship with the ageing but still hedonistic Lottie acts as a catalyst for him to take risks that he has always denied. At the same time the success of one of Anton’s pupils leads to an end to his compromised contentment, and Gustav has to draw on all his reserves of loyalty and self-mastery to deal with the effects on the friendship which has sustained him all his life. It’s a very satisfying ending, but I shall say no more! See also Tony’s enthusiastic review at Tony’s Book World. Thank You for pointing out there is a new Rose Tremain to be read. Tremain is on my ‘Must Read’ list. I hope to read The Gustav Sonata soon. Have you read the one before this? I have a copy of it but haven’t got round to reading it. I did read Rose Tremain’s last work, a collection of short stories called ‘The American Lover’. I thought it was excellent. I have not read her last novel, ‘Merivel’, but the previous one ‘Trespass’ was fine. Yes, it’s Merivel that I’ve got, I must read it soon. Gosh. That’s very hardline, isn’t it? I’d be ok, I’ve only ever had one speeding ticket, about forty years ago, and that was because I wrongly thought I was in a high speed zone.